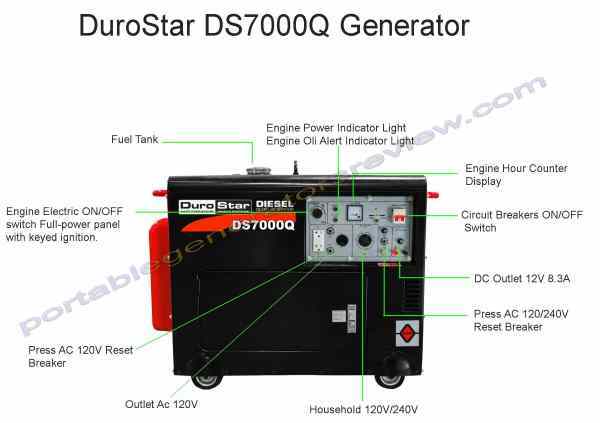 DuroStar DS7000Q Generator has a diesel engine. Powerful, with a rating of up to 5500 watts. Accommodates a variety of outlets such as 120 volts 20 amp, 120 volt 30 amp, and 120V/240V 30 amp 4 prongs. Extremely quiet muffler- only at 70 dBA. Comes with a free standard alternator with automatic voltage regulator, and a wheel & tool kit. 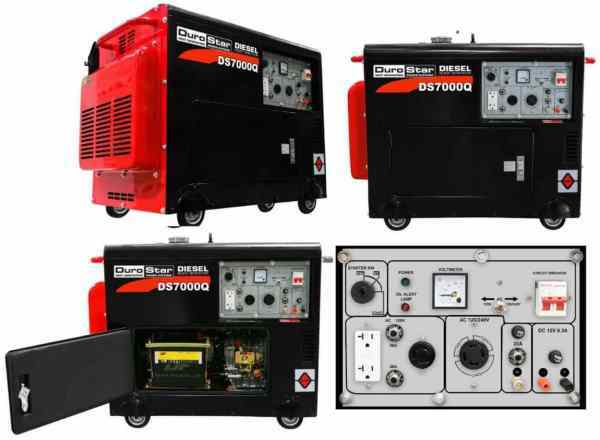 High productivity: The Generator power rating is as high as 5500 watts with a surge rating of 6,500 watts providing you with lots of dependable energy anytime you need it. Low fuel consumption: This particular portable generator uses an innovative direct fuel injection system that allows low fuel consumption that yields high energy production. Extended operational ability: Capable of running continuously for up to 12 hours, the DuroStar DS7000Q portable generator is sure to provide long-lasting energy for you and your family. Compatible with a variety of outlets: With a total of 4 outlets, the portable generator is convenient to use for almost everything. 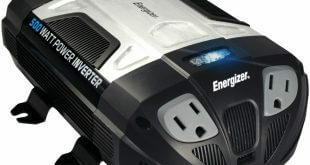 It has two 120 volts 20 amp outlets, one 120 volts 30 amp outlet and one 120V/240V 30 amp 4 prong outlet. Low oil automated shut down the system: The DuroStar DS7000Q has a built in system that is capable of detecting low oil pressure and automatically shuts down for your optimum safety. Extremely quiet functionality: Built with a muffler that produces minimum noise measured at only 70 dBA, the portable generator runs smoothly and quietly. Electric starter: It has a full power electrical panel with a starter. It even comes with a new remote that comes in really useful and handy. Low oil automated shut off. 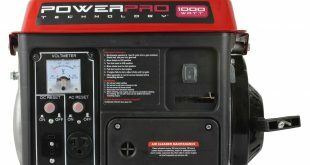 Some customers in other DuroStar DS7000Q Generator Review expressed their concerns about the availability of the Portable Generator parts if one part of it is destroyed because it is a brand manufactured from outside the United States. With everything considered, the DuroStar Generator is still a very cost-effective diesel generator that will be a low priced investment that is more than worth it. If you are really serious about a Portable generator to power you throughout darkness then this is a model to buy. You can use it anywhere so check it out now below. Hopefully our DuroStar DS7000Q Generator Review has helped answer any questions.